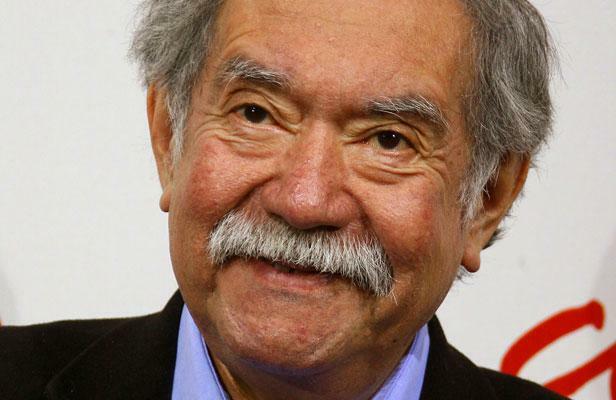 Raúl Ruiz died this week. Adrian Martin has written a personal, moving and illuminating tribute to him -- a 2,500-word piece that I'm posting below. Please also see Catherine Grant's large post of links on Ruiz's work at Film Studies for Free. Your thoughts on Ruiz's films -- and your favorites among his work? Please feel free to share them in the comments. -- Girish. "I try to remember that disparity exists. And that is a good way to remember death. Then death becomes something completely other than accommodating or resigning oneself to dying, something other than melancholia. On the contrary, it becomes a ‘working tool’." In the magisterial Mysteries of Lisbon (2011) – which is not, in fact, Raúl Ruiz’s final film (he subsequently shot La noche de enfrente in Chile), even if it is, happily, one of his most internationally successful – there is a scene in which the mysterious priest of the saga (superbly played by Adriano Luz) enters a private room in which we see, neatly arranged, the traces of all his other, previous identities. They are more than just disguises or costumes; they are his other selves. Ruiz’s camera makes a slow, elegant pan around this small, confined space of intrigue, coming to rest on the diminutive Father Dinis, simply reflecting, absorbing all these signs of the labyrinthine fiction of suffering and woe to which he has been a party, both player and puppet. It’s the kind of moment that – as in every great film – you don’t necessarily really see or take in on a first viewing, or even fifth viewing; but it’s there, waiting for you to catch up with it at last. I won’t attempt a synoptic sweep of his full career here – that will require a hefty book or three. Some highpoints that come immediately to mind, however: the first films made in Chile, 1960-1973, full of treasures unknown to many of us, such as No One Said Anything (1971) and Socialist Realism (1973) – what a blast, three years ago, to see in Valdivia the discovered and restored (by Ruiz himself, with a mouth-music sound accompaniment) inaugural short, La Maleta (The Suitcase, 1963). The wayward-lurching Los Tres Tristes Tigres (1968), a hyper-realist bourgeois drama already way out the other side of Cassavetes, Dogme and Mumblecore combined – arch-surrealist Ado Kyrou knew the spark of genius straight away when he saw that one, just as Serge Daney would, four or five years later, when Raúl and his wife, director-editor Valeria Sarmiento, had hastily relocated in France in exile from the dire political situation in Chile. Ruiz was so often ahead of the curve: we hear a lot about mind-games and puzzle-films these days, as if Christopher Nolan is doing something new and innovative, but the real mind-games were laid out by Ruiz in Three Crowns of the Sailor (1982), The Comedy of Innocence (2001) and Three Lives and Only One Death. And then – once more obscured in the West – the return to Chile as both its Prodigal Son and Revered Master (national pride over him is more than palpable there): starting with the TV Dante (1992) and going right through Días de campo (2004) and two elaborate TV series (La recta provincia  and Litoral ), ending with the yet-unseen La noche de enfrente – and, in between, the groundbreaking long-form ‘digital essay’, between documentary and fiction, of the Chilean Rhapsody (2002-3), a marvel of exploration and inquisition. Ruiz was a gifted teacher of filmmaking; several of his features, including The Golden Boat (1990) and Vertigo of the Blank Page (2003) emerged from ultra-low-budget classroom exercises. He always believed, pedagogically, in the rigorous union of doing and reflecting, in serene, morning/afternoon alternation; theory and practice were never split apart for him, although he would always add that, in his own work, he was able to carry out only a fraction of the experiments he conceived. Experimentation was, indeed, his watchword: in the last years of his life at University of Aberdeen in Scotland, he speculated about the possibility of marrying cinema theory with neuroscience via experiments on the brain and its strange force-field ‘aura’; this followed on from his interests in all things mathematical and scientific. He was a mind-bogglingly well-read person (while scoffing at the academic pedantry of precise bibliographic citation – he once tossed me a rare manuscript by someone who had crossed his path, saying: “If I need to refer to it, well, I know you’ve got it”) – and only Valeria could have the faintest clue, now, of all the rare and obscure texts he acquired (he was an avid antique book collector) and pored over in his lifetime. The importance of Ruiz as a theorist of film has, I believe, been criminally underrated and overlooked. In many essays throughout his life (such as those given to Positif), in the brilliant Poetics of Cinema book series for Dis Voir (alas, now unfinished), and especially in his manifesto-like “The Six Functions of the Shot”, Ruiz probed, with infinite care and patience, the mysteries and possibilities of every linkage and liaison in cinema: cuts, camera movements, sounds, gestures, shadows, narrative and non-narrative events … And no less important, on this level, were his more obviously creative pieces (film, play and radio scripts, novels, the ‘notes for actors’ that he provided on all his later projects, and the literally hundreds of in-depth interviews he gave in many languages): Ruiz never ceased elaborating, teasing out, refining and extending his often extraordinary (and only seemingly whimsical) ideas. His life was one continuous ‘thought experiment’, as the logicians say. I first met Raúl when he was 52 years old – which is the age I am about to reach now. (I am instantly reminded of the beautiful sentence in Poetics of Cinema to the effect that his “astonishment” at Hollywood’s bizarre rules of storytelling “is as young today as I was then” when he first encountered them in a scriptwriting manual of the 1950s.) At that time, he was starting to feel an anxiety that I can only fully relate to at this point: a sense that his life’s work had been scattered, much of it lost, and out of his control or reach. He was looking for someone who could be both an archivist and a booking agent for his work in all media. There was a desperation in his voice and his eyes when he spoke about this – and that was an uncharacteristic symptom coming from this always elegant, controlled, outwardly modest man (“chaste”, he would say with a smile). Mercifully, the coming history of technology turned to his assistance: on DVD – which I believe Raúl came to regard as his archive – so many works, unseen for decades, have come back: The Territory (1981), Point de fuite (1984), key shorts … and with a brisk trade in less legal restorations downloadable on-line. There remains so much more to cover and explore in Ruiz’s œuvre; most accounts barely scrape the tip of the iceberg. In the whole time I knew him, and also frequently in his writings, Raúl would return to a peculiarly Chilean experience that fascinated him, the phenomenon of the ‘noonday ghost’. He would retell this typical, iterative tale with the utmost conviction and sincerity: walking in a Chilean street, he would see an old friend from 40 years ago. They would speak of banalities: the traffic light not working, the rising price of milk, the hole in the nearby bridge. Then they would saunter apart – with Raúl realising, some minutes later, that his friend had been dead for some long time already. This is the noonday ghost, Raúl explained: nothing like the Gothic ghost of shadows who avenges wrongs, returns the repressed or haunts the living with a malign force. The noonday ghost looks just like you or me, in the bright daylight, and is just as boring. This ghost is a figure for the other key dialectic in Ruiz’s cinema: the interplay of mystery and ministry, as he described it – sublime things that inevitably become dead ordinary, and ordinary things that become suddenly, strangely sublime. Adrian Martin and I are excited to announce the launch of our new Internet film journal LOLA. We've worked steadily on the journal for the last several months. We owe enormous thanks to our webmaster, the filmmaker Bill Mousoulis, for his invaluable help; and to all the authors who were so wonderfully generous and patient during the entire process. Here is the table of contents for the debut issue; the theme of the issue is "Histories." -- Joe McElhaney, "Contemporary Cinema? ": "I was born in 1957, the year Charles Chaplin made A King in New York. Chaplin was 68, allowing A King in New York to be seen as the film of not only ‘a free man’ (as Roberto Rossellini famously put it) but an old one […] [M]y relationship to contemporary cinema can be dominated by a passion for aging filmmakers, the older the better: Rohmer (deceased, but just barely), Resnais, Rivette. And who older (and perhaps better) than Oliveira?" -- William D. Routt, "Innuendo 1.5": "Lubitsch’s offensive characters - named Moritz or Sally or Meyer - were not unlike the characters performed by some rappers today. They were composed of all the stereotypical traits that made Germans, even German Jews, uneasy. Sally Pinkus and his kind were in-your-face Jews, a combination of shmendrik and schlemihl [...]: lecherous, stupid, greedy, vulgar, sneaky, cunning, ill-mannered, klutzy, flamboyant. In Lubitsch’s films these awful characters triumphed: they got the girls and the money - just what anti-Semites, then and now, are afraid of. That was the joke." -- Andrew Klevan, "Expressing the In-Between": [On the character played by Katharine Hepburn in Bringing Up Baby] "Susan’s fluidity and flexibility of movement shows a capacity for indefinite behaviour, an elegant erasing of boundaries (erected by stiffer bodies and stuffy institutions). The mythical forest is ideal, but she turns everywhere into an in-between place, where a lack of conventional determinations and destinations arouse indeterminacy. Maybe this is because, as she repeatedly tells us, she was born, not on the top, nor at the foot, but on the ‘side of a hill’." -- Luc Moullet, "Ah Yes! Griffith was a Marxist! ": "The film is also the first masterpiece of militant cinema. Eisenstein dreamed of adapting Capital, but Griffith had already done it twenty years before with this film. While we often think of the Southern conservative of The Birth of a Nation (1915), Griffith is here, paradoxically, very close to Karl Marx." -- Richard Porton, "WR: Mysteries of the Organism: Anarchist Realism and Critical Quandaries": "Makavejev’s playful, allusive film, an apt case study for testing the capabilities of a robustly contextualist criticism, cries out for what, following Clifford Geertz, social scientists (as well as a recent generation of literary critics) refer to as ‘thick description’. For resourceful critics, WR is also the perfect vehicle for flights of essayistic fancy. Raymond Durgnat, a famously digressive critic himself, compared Makavejev’s magnum opus to an ‘adventure playground’." -- Shigehiko Hasumi, "Fiction and the 'Unrepresentable': All Movies are but Variants on the Silent Film": "Stated briefly, my hypothesis is that the medium of film has not yet truly incorporated sound as an essential component of its composition. This statement applies generally to all types of film, whether produced for entertainment or for artistic ends, irrespective of the form in which they have been consumed throughout the history of the medium stretching back over one hundred years. Another way of expressing this hypothesis is to say that the so-called talkie is in fact no more than a variant of the silent film." -- Sylvia Lawson, "Out of the Mid-Century: History, Memory and Cinema": "Watching cinema, we’re always watching history. It could be the history of the present, or else history as it was unfolding in the time of the film’s production. If it’s a period-piece, the history isn’t so much in what’s illustrated as in the way of looking at the story. Those genteel costume dramas produced by the renascent Australian industry in the ‘70s had nothing to do with (for example) girls’ boarding schools in 1900. The history they tell us is the history of ideas about what a national cinema should be doing. There was an aspiration in there, a straining toward European art-cinema, and a lot of cultural anxiety." -- Stephen Goddard, "'So, Did You See Me? ': Testimony, Memory and Re-Making Film History": "In 1997, my mother engaged in a process of remembering, narrating and reconsidering her histories when her video testimony was recorded by the Survivors of the Shoah Visual History Foundation. […] Some families are able to gather around a family photo album, to hear the stories that surround the images of parents and relatives in earlier times. My parents did not have any photographs from their days before war. My mother’s prisoner number clothing tag is the earliest remaining image representing her identity. As an antidote to the lost images of her formative days, and as a way of representing the events that were never recorded, the stories and anecdotes from her Shoah testimonial have now become the soundtrack to a lost ‘home movie’." -- Darren Tofts, "In My Time of Dying: The Premature Death of a Film Classic": "What do we conclude from the jaundiced history of The Song Remains the Same? It is clear that, rather than some hideous chimera that should never have been made, the film and the story of its making is, in fact, archetypal filmmaking. The history of cinema is the history of overcoming circumstance. From a cybernetic point of view, the final film that is eventually screened is not a successful culmination of shooting, editing and post-production schedule. It is a measure of the degree to which entropy or error has been avoided or at the very least minimised during the entire production process." -- Adrian Martin, "Dinosaurs, Babies and the Sound of Music": "It is important to remember this in the discussion of cinema: we must follow the music. Because, of all the arts, music – no matter how deeply rooted it is in the history and tradition of its country of origin – is the most stateless, the most nomadic and migratory. Wherever it lands, it takes root: becoming an intimate part of one’s experience, one’s history. Music’s destiny is always to be appropriated, but not in the sophisticated, knowing, tortuous way the visual arts, at least since the ‘60s, have violently appropriated images, wrenching them from their context and brazenly advertising the thematics of that displacement. Music simply carries..."
-- Justine Grace, "The Streets: Breaking out of the Black Box/White Cube in Rotterdam": "For Carels, a guiding principle in compiling the XL programme was the relationship between a work of art, or film, and its site; the idea that locations outside the traditional exhibition space of the white cube/black box could provide an illuminating exhibition framework that enhanced the meaning of the work and the experience of the viewer." -- Nicole Brenez, "F.J. Ossang: The Grand Insurrectionary Style": "Instead of showing the chase or the race, Ossang films the world that produces such velocity, plunging into the substance of colours and the experience of sensations. Whatever the story may be, it springs from a love of words: not so much the dialogue but the formulation, the insert, the slogan, the point – giving rise to the monumental handwriting that so characterises his work. But, most of all, Ossang’s cinema involves bringing back epic gestures to popular visual culture, tearing things apart until they become inconceivably beautiful." -- James Guida, "Stuck in the Mud: The Visions of Lucrecia Martel": "Martel’s characters flit in and out of harm’s shadow as a matter of course. The interest is not in danger as shock value, but in its regular promise and proximity, in the sights and sounds that surround its unfolding." -- David Phelps, "Think But This ... 36 vues du Pic St-Loup": "Rivette, like Louis Feuillade, frames spaces as stages, even outside: the movie exists only within the world its characters have created. Characters enter the frame as they would enter a doorway on-stage to join a scene; if they are not in frame, they are ghosts, with no relevance to the scene at all except as ghosts, and when the audience is not seen in the rehearsal/performances, it may as well not exist." -- Elena Gorfinkel, "At the End of Cinema, This Thing Called Film": "Light cannot contain film, but spills out, through film and beyond it. If film spilling entails loss – the nightmare of film preservationists’ Sisyphean struggle against the ravages of time on an unfathomable body of unknown films – light spilling invokes an expanded arena of diffusion and admixture..."
I should also mention that Adrian's been very busy: he also guest-edited the new issue of Screening The Past. I'm curious to know from readers (if they wish): Are there certain topic areas within cinema that you think might be in particular need of critical/scholarly exploration for future essays or issues? In other words, I'm wondering: Are there specific topics on which you might particularly be interested to read critical/scholarly writing about cinema? Thank you!